All the structures are designed for a specific life, however over a period of time the defects occur in the building in various forms or mainly due to ageing. The structural weakness may be caused by many factors, i.e. excessive movement of the structure, soil settlement, overloading, and deterioration of materials, ageing of the building, reinforcement corrosion, or damage by accidents, or poor construction design, etc. Sometimes defects in the structure may become cause for building collapse. As time passes human being gets old, and they become weak, and their strength of doing routine work also get decreased. Finally, they become weak and lose all their strength and die one day. Similarly, when the building gets old, they do not perform well as they lose their strength due to deterioration and loss of properties by various materials and ultimately, it may collapse. The buildings are designed for the certain period, if the use of the buildings continues after its intended life, then it may lead to the accidental failure of buildings as the planned life of the building is already ended, provided it is repaired or strengthened regularly. Different varieties of building materials used at the time of construction, i.e. cement concrete, brick, steel, etc. have different life and different reaction to environment, other force of nature like earthquake, cyclone, etc. and wear and tear. Defective Construction techniques used at the time of construction, i.e. poor compaction of soil, improper handling and placement of concrete, inadequate compaction of concrete, no curing of concrete, inadequate joint detailing, etc. Sub-standard workmanship or poor supervision in construction, i.e. negligence in checking of ongoing work, use of non-skill workers, etc. Poor knowledge of standards or violation of tender terms or codal provision. Deterioration of buildings due to the environmental effects, i.e. carbonation and chloride attack in concrete, corrosion of reinforcement steel, etc. which will make concrete lose its strength. Inappropriate uses of the buildings. i.e. structure designed for the residential purpose is used for commercial purpose, etc. All the above factors results into the early ageing of the building and the structure deteriorates early which effects the stability of building. 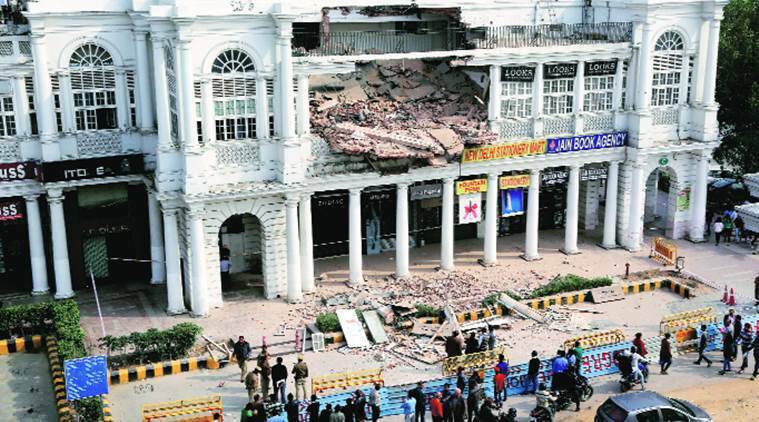 Hence early ageing of the building may also a reason for the building collapse.